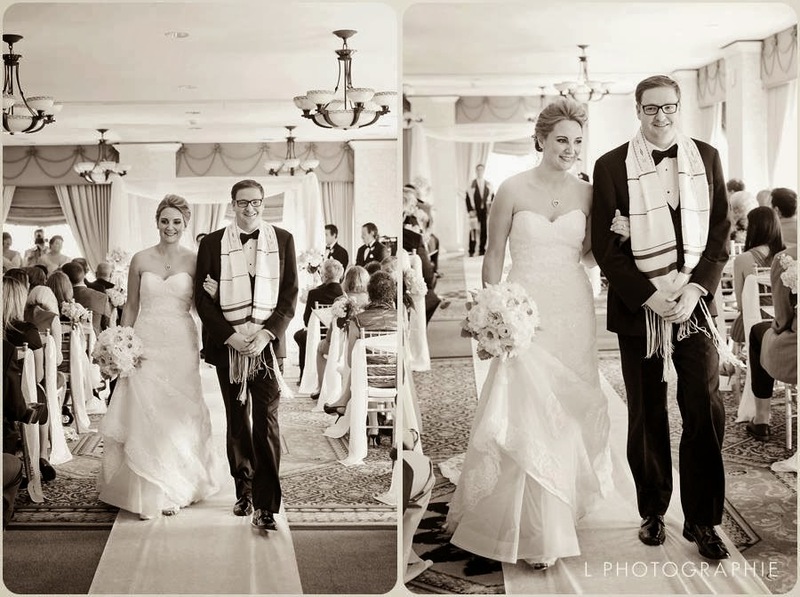 One of our favorite venues is the Renaissance Grand. 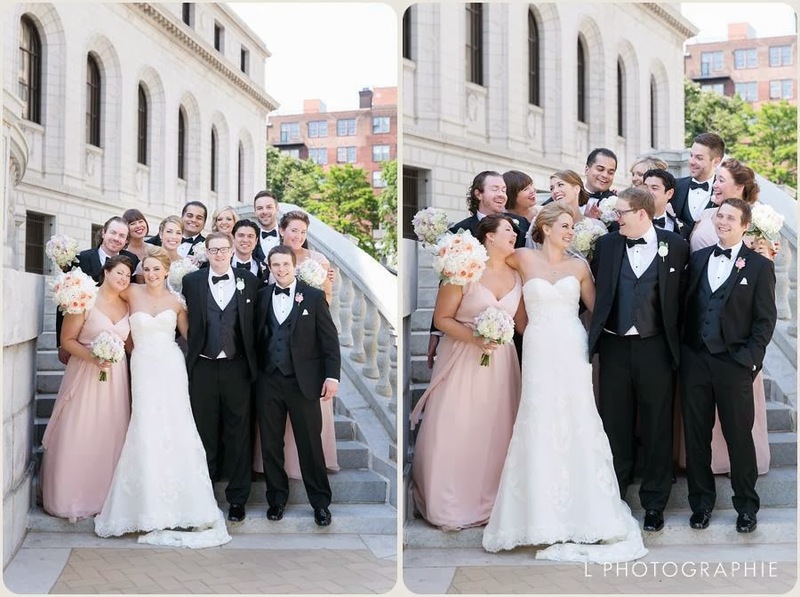 We were so happy to work with Heather and Michael on their Renaissance wedding and reception last June. 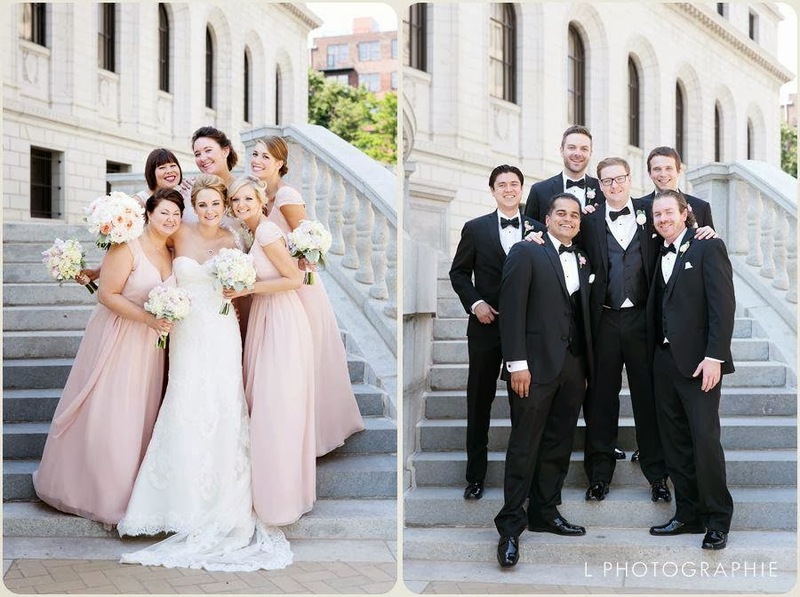 Enjoy the detailed images of their day courtesy of L Photographie. 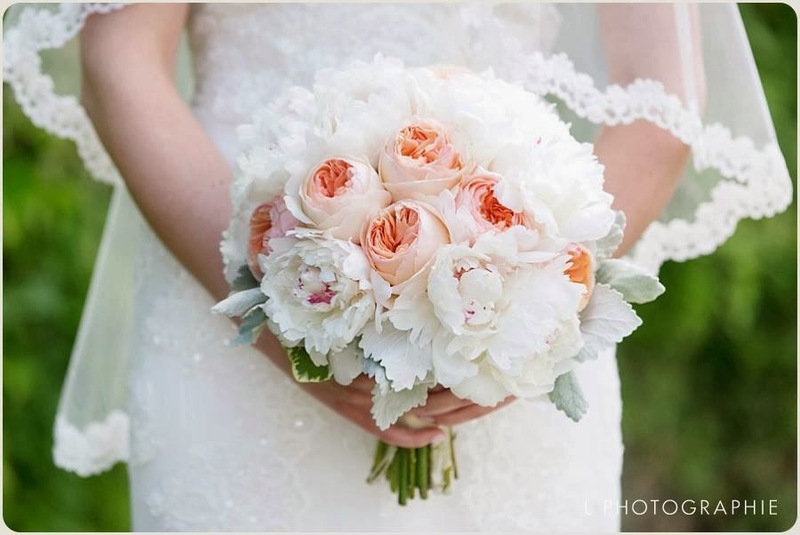 One of our favorite bouquets of last year was this stunner. 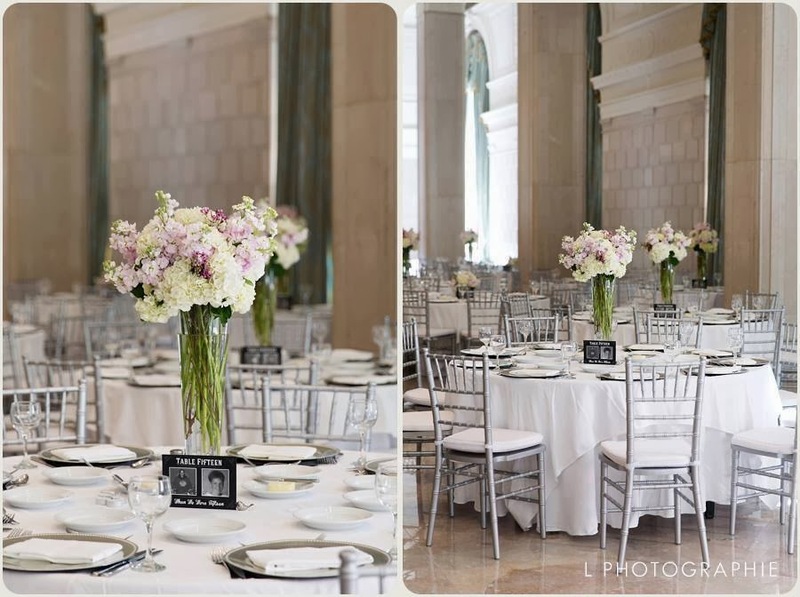 It was simple yet so romantic with these antique blush garden roses, white peonies, and silver dusty miller to frame the blooms. 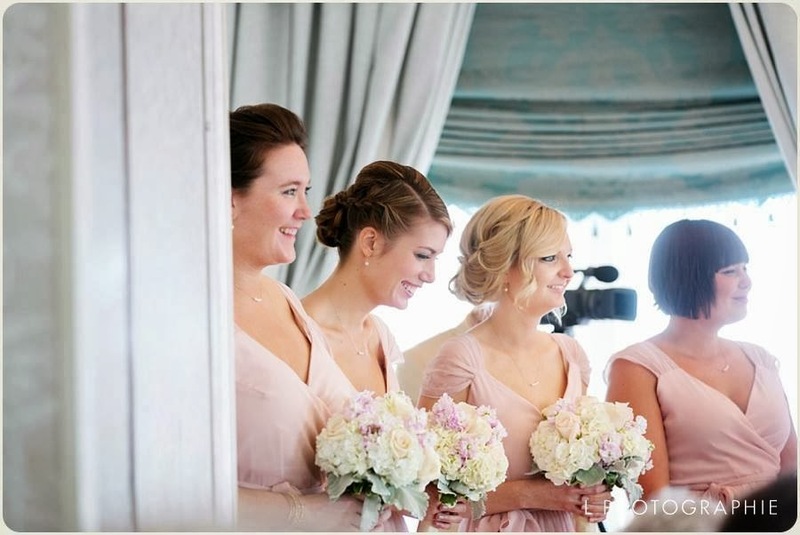 The bridesmaids carried bouquets of ivory, champagne, and blush that included hydrangea, stock flower, roses, and dusty miller. 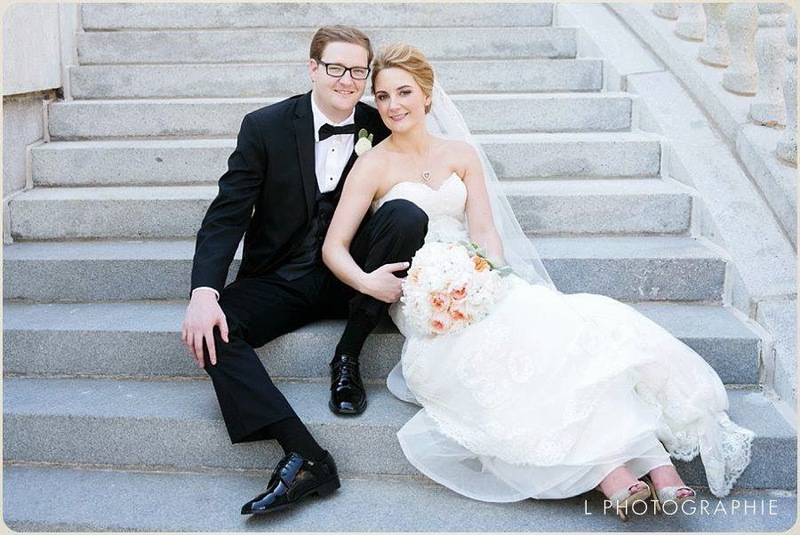 Such a sweet groom! 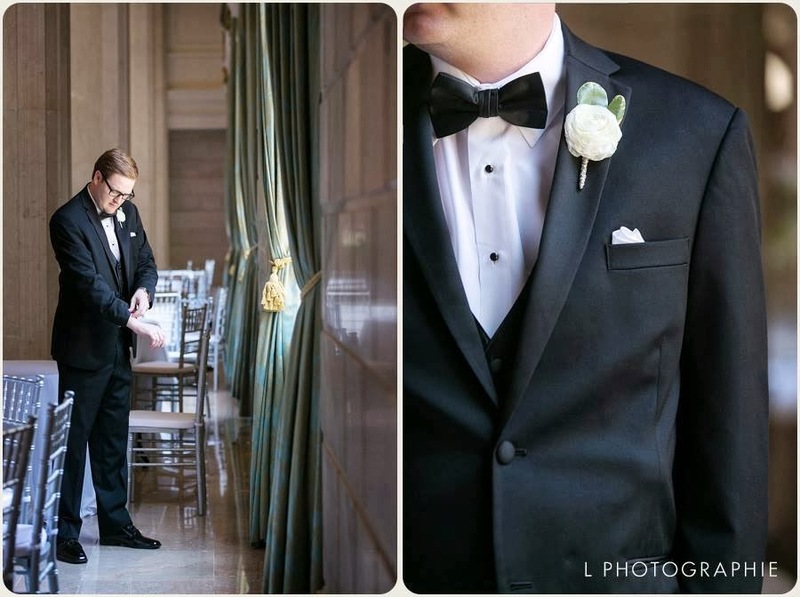 We really love this shot of Micheal and his ranunculus boutonniere. A perfect match! Such a lovely couple! 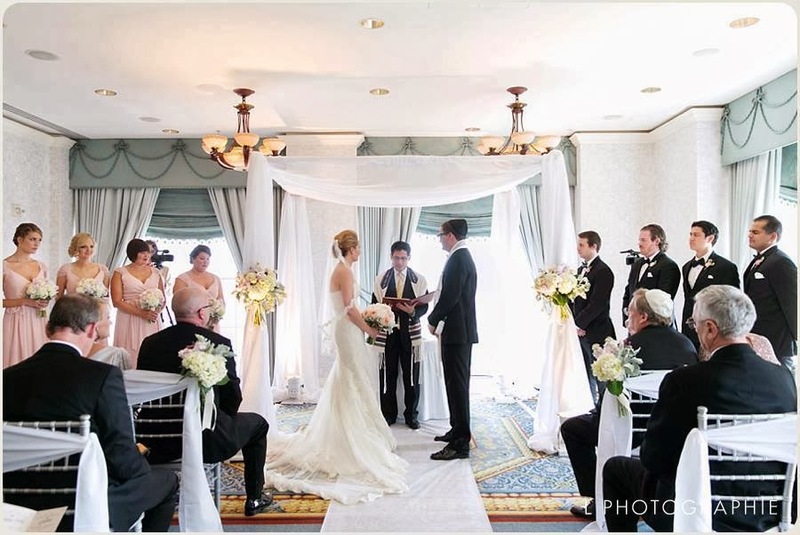 The ceremony was held in the Hawthorne Room at the Renaissance. 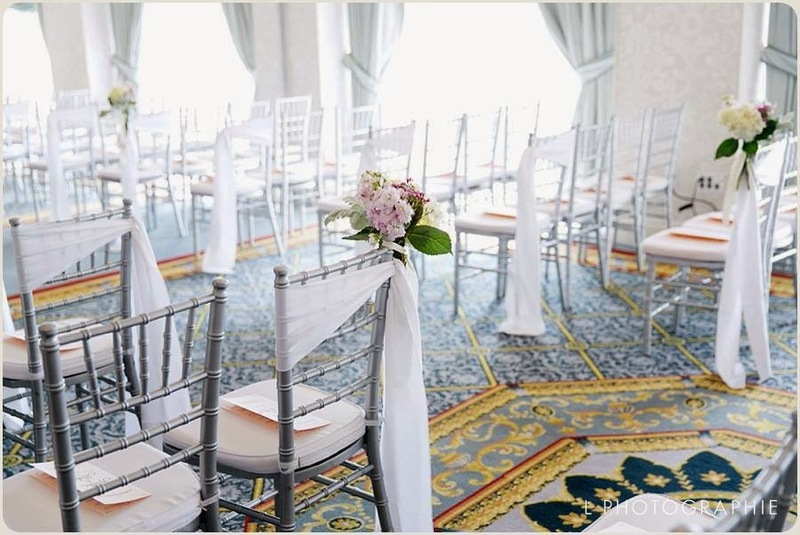 Clusters of wedding flowers were tied onto the chairs for the ceremony. Similar but larger flower clusters were tied onto the front legs of the chuppah and reused on the bar at the reception in one big vase. 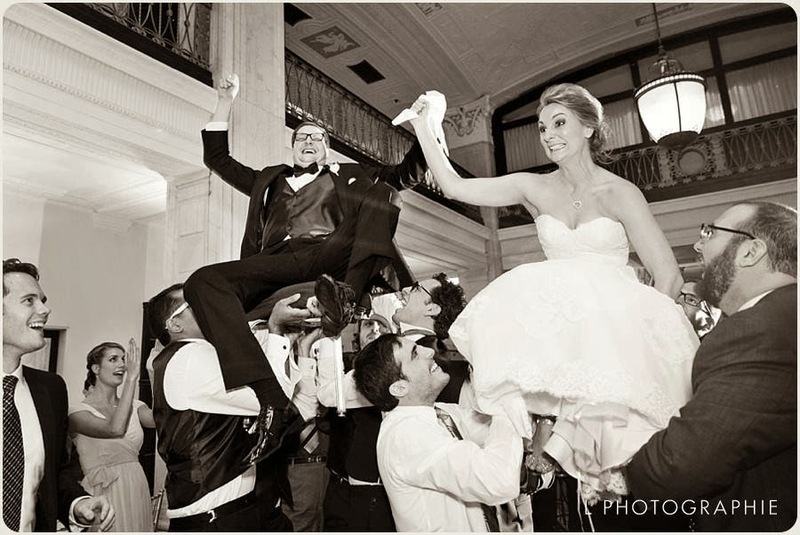 After the ceremony, guests moved into the Statler Ballroom for the reception. 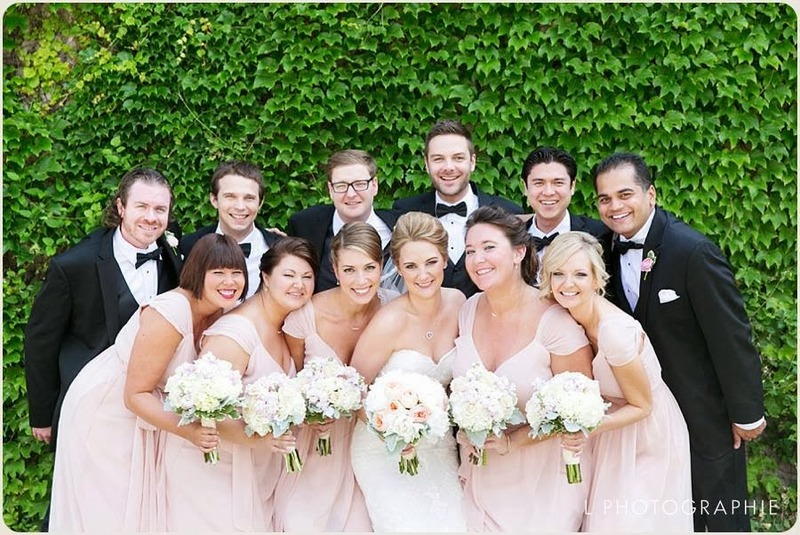 The tables were decorated with tall and short arrangements of full blush and ivory blooms. 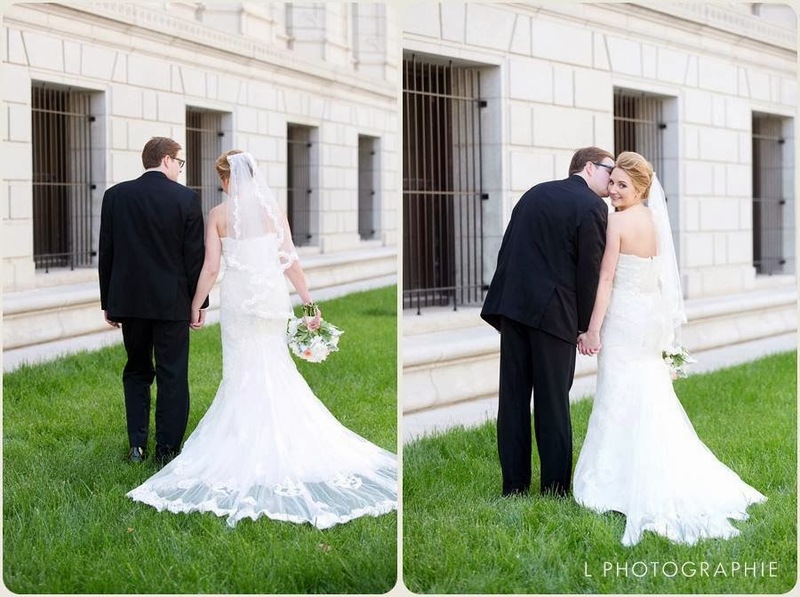 All our best wishes to you, Heather and Michael! You two were such fun to work with! Special thanks to you and your families!